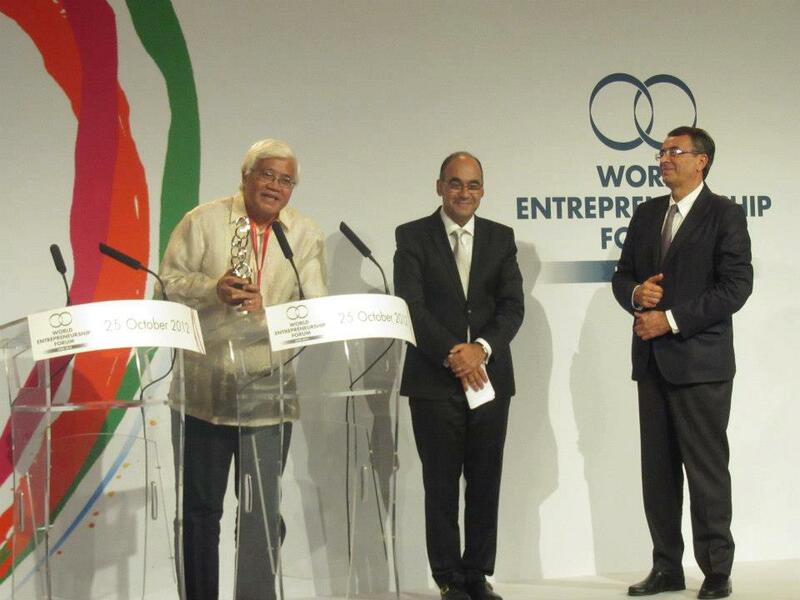 Originating from four continents and symbolizing with their success stories the very sense of entrepreneurship, the “Entrepreneurs for the World 2012” Awardees were revealed Thursday at the World Entrepreneurship Forum’s prestigious annual gala ceremony here. 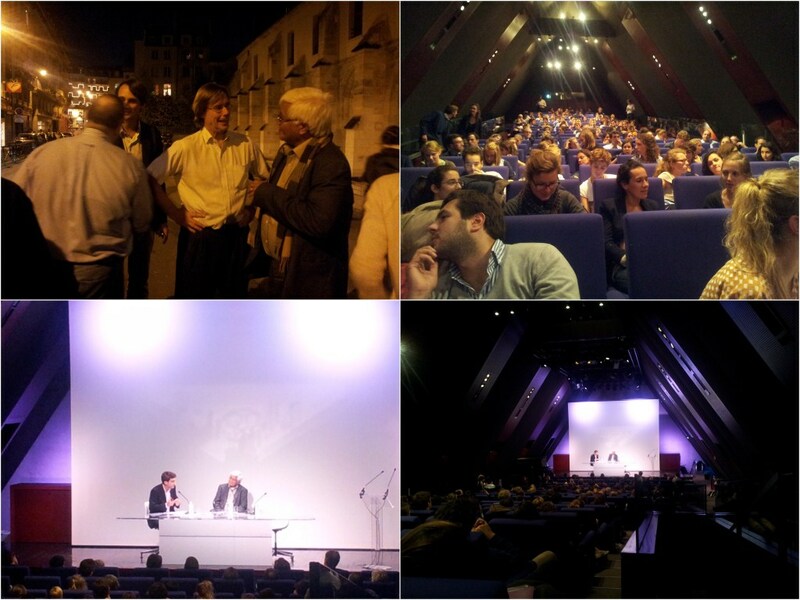 The Forum’s 5th edition, with the theme “Entrepreneurial Ecosystems: Cultivating Communities to Drive Wealth Creation and Social Justice”, was held in the city of Lyon, France on October 24–27. One of the leading bodies of its kind, the World Entrepreneurship Forum aims to foster sustainable development which combines both social justice and economic growth. This year’s event attracted over 200 participants from 59 countries – business and social entrepreneurs as well as policy makers, experts and academics. "I'm overwhelmed by the growing interest in our brand of social innovation and the rockstar treatment I'm receiving in the top universities and conferences in France. Here GK is in the centerstage in a filmed 3 hour show in front of a 250 audience of top students and corporate executives including Marnix Fruitema, the Air France KLM CEO for Asia. Today they featured Frank Chiu in Forbes magazine on doing business in the Philippines. 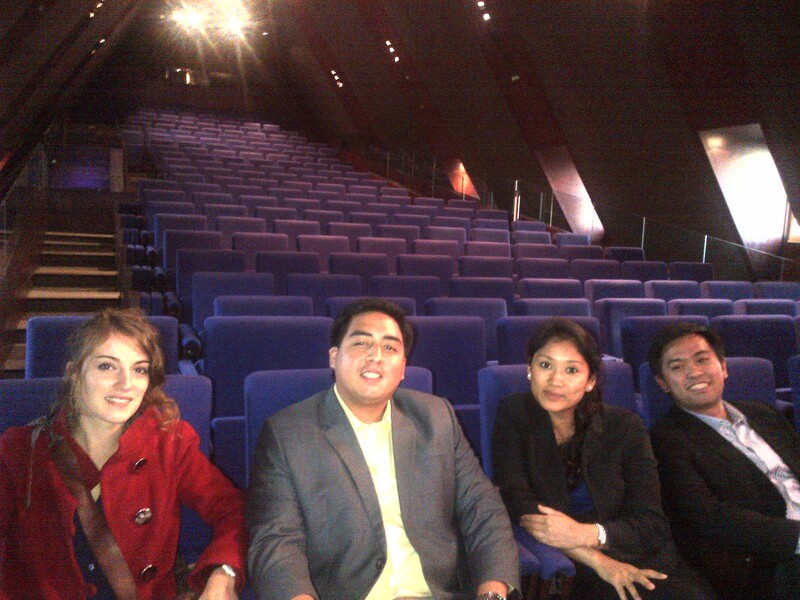 Tonight we have a big session at Orange auditorium organized by top business school HEC. Tomorrow the GK team moves to Lyon for the World Entrepreneurship Forum where I will receive the Social Entrepreneur for the World award. They are providing the whole team a villa and a limousine with driver for 3 days. 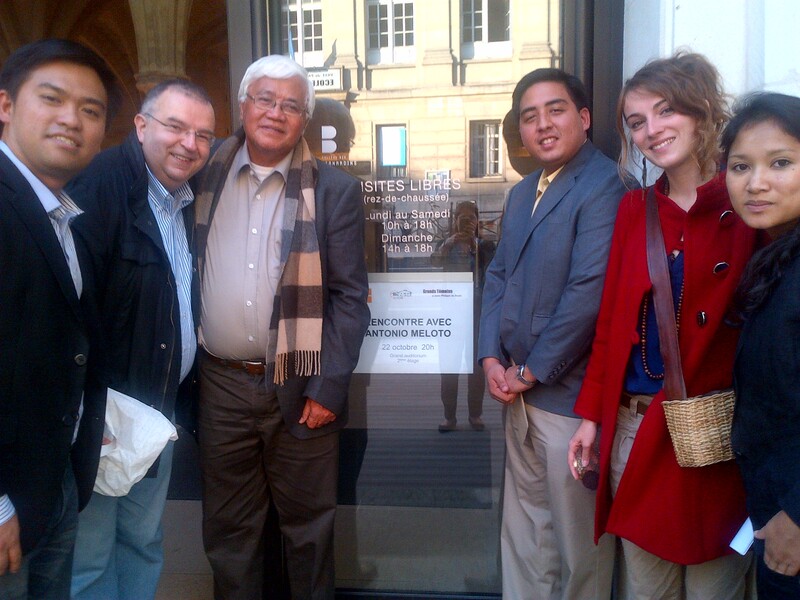 "An Evening with Antonio Meloto, an Innovative Social Entrepreneur from the Philippines in College des Bernardines. 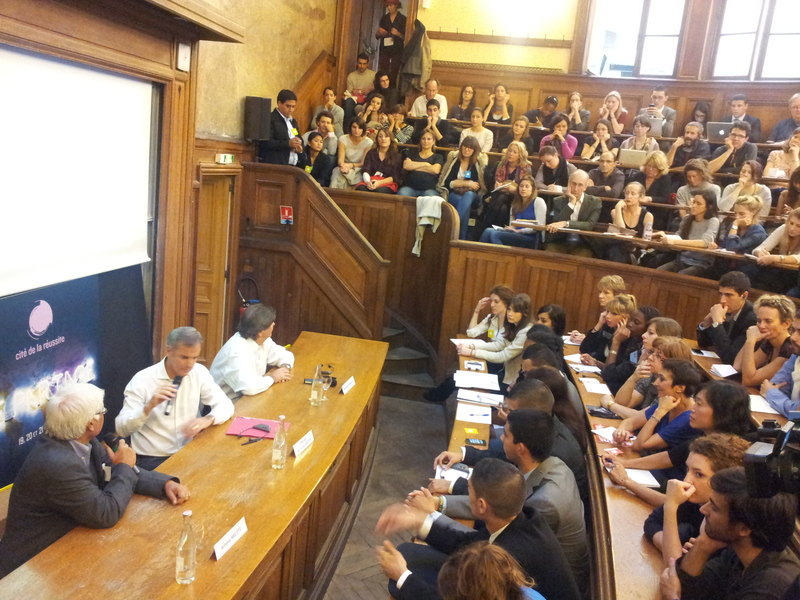 Organized jointly by a Catholic orgaization of young Parisians plus top rival business schools HEC & ESSEC. Highly energized crowd of 250 bright young men and women who appreciated hearing faith and values at the heart of wealth creation. Faith in action and fidelity to family and mission. Enlightened capitalism with pragmatic idealism. Love for country and building an economy based on solidarity. 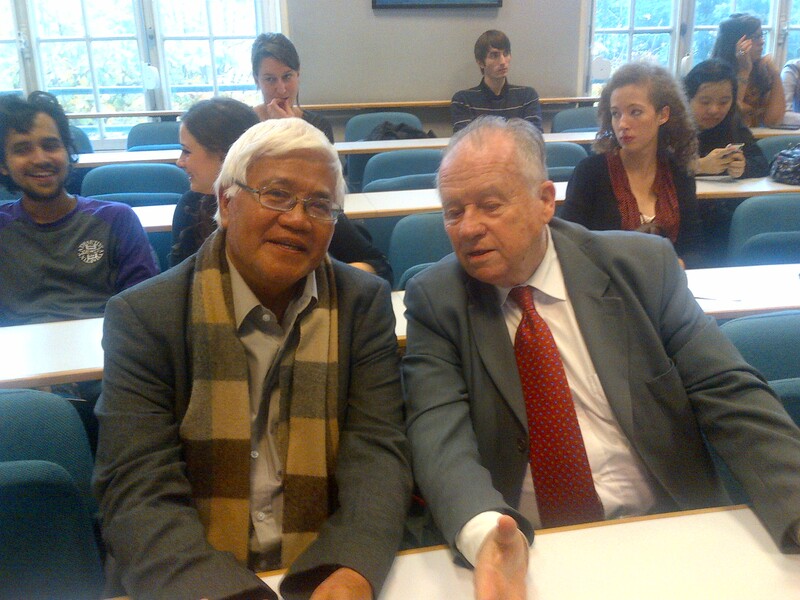 In attendance -- AirFrance KLM Head of Asia, Marnix Fruitema and top university leaders." "Tony Meloto was invited to speak at the 'Change Your Life to Change the World' session in the Cité de la Reussite (City of Success) at La Sorbonne University. Cité de la Reussite is a bi-annual gathering of 20,000 entrepreneurs, scientists and academicians all over the world listening to 120 top French leaders and GK was invited to speak. Tony Meloto was with Jean-Marc Borello, Founder and CEO of SOS Group, the biggest social enterprise in France with an annual turnover of €400million. 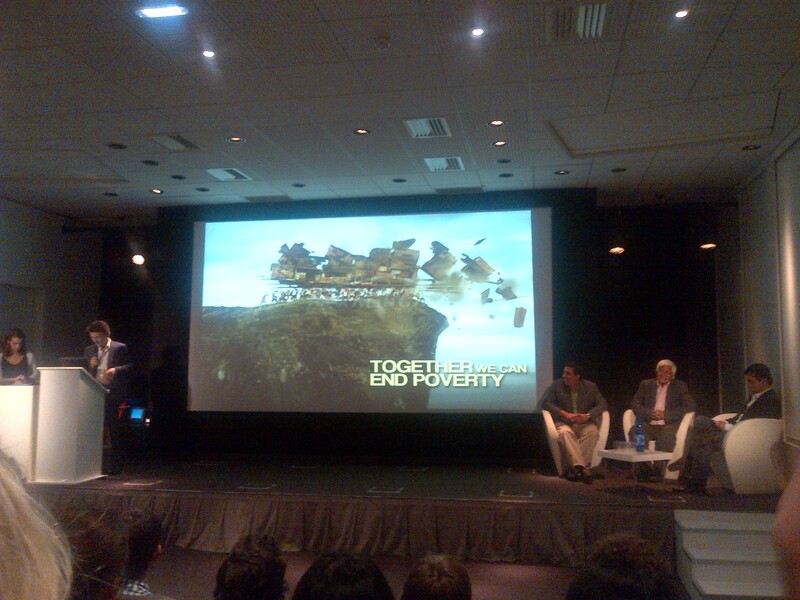 The session was moderated by a famous French TV host, Bernard de la Villardiere. The usual staid French crowd facing economic depression gave enthusiastic applause to the good news of GK."